Join us for balletic euphoria and fantasy. On this occasion, Roberto Bolle will be joined by another Italian legendary dancer Alessandra Ferri and nine illustrious international star dancers including Silvia Azzoni, Melissa Hamilton, Mizuka Ueno, Marcello Gomes, Alexandre Riabko, Karen Azatyan, Carsten Jung, Alexandr Trusch and Marc Jubete. 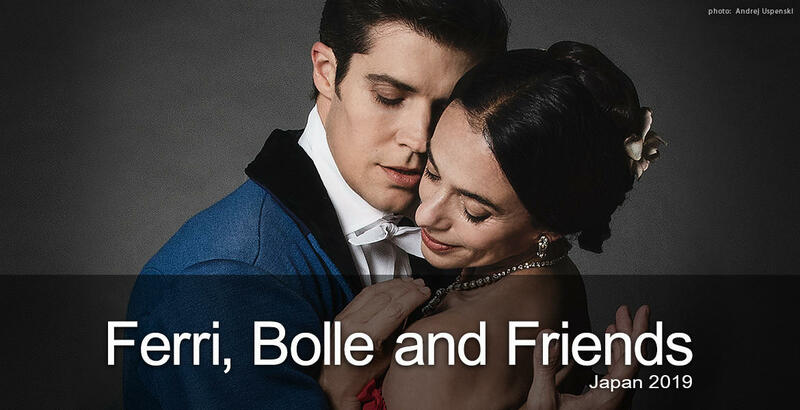 In Program A, Ferri and Bolle will dance Marguerite and Armand, the last full ballet created by Frederick Ashton for Margo Fonteyn, a masterpiece that she and Rudolf Nureyev performed frequently around the world. Program B includes Fratres from Duse by John Neumeier, a ballet created for Alessandra Ferri after her return to the stage in 2013. John Neumeier will come to Tokyo to stage the work together with his dancers. It will be a showcase of the finest performances by the finest dancers of today. Join us for the balletic euphoria and fantasy. *Casting and programs as of 18 March 2019 are subject to change. *Recorded music will be used. Enjoy below benefits by purchasing the same number of tickets for both Program A and B, in the same seat category in one transaction. Tickets will be on sale at NBS WEB Ticket on Monday 8 April 2019 from 21:00. A limited number of tickets will be available, and the sales will end as they are sold out. - Post-performance talk (about 30 mins) by Alessandra Ferri and Roberto Bolle on Sunday 4 August. The talk is open to all the "Two-Program Tickets" holders. You do not necessarily have to purchase the ticket for the performance on Sunday 4 August. ¥4,000 tickets for young people aged between 6 and 25 and under go on sale on Friday 28 June 2019, 20:00 at NBS WEB Ticket. You must bring identity documents with proof of age to pick up your tickets at the venue on the performance day. Presales at "NBS WEB Ticket"